One of the lovely and unexpected gifts of writing Wrapped in Grace has been getting to share this favorite season and familiar story with friends, both new and old. Every fall I fly from Phoenix to Grand Rapids to spend a week with my family, attend the Breathe Writers Conference, eat apples and donuts with my nieces and nephews, and to experience fall as it is supposed to be. It is always super busy. We have a big family and we never get to do everything we would like to, but we savor the moments and fill every day to the brim. I love that this week is scheduled into my life.. 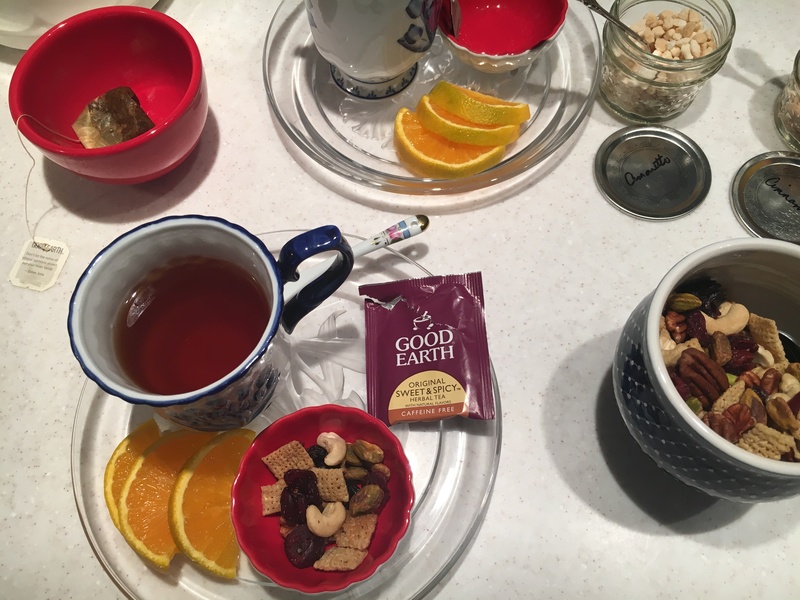 This year, in the middle of the whirlwind, I was invited to meet and have tea with a reader who has been a source of encouragement to me since the first printing of Wrapped in Grace. Janiece keeps buying books to give away. She writes me notes in the middle of the summer when no one is reading Christmas season books. As we spoke in her living room and sipped our tea , she jotted notes on a little piece of paper because I believe she prays for me. She said it was ok for me to record as she played a beautiful arrangement of “Jesus Loves Me” on the grand piano in her living room. I listen to it still, and remember that something sacred happens when God connects us to each other through his story. Life friendships have been rekindled around this little book; high school classmates, college friends, and my favorite Jr. High Sunday School teacher who lives in Montana. The church where our kids grew up in Reno is inviting the whole church to read the book this December — If any of you are reading this, we miss you and love you guys! 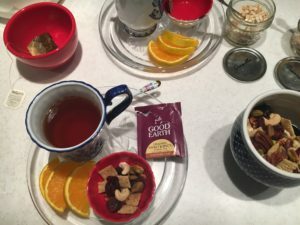 I will be recording a new audio bookclub for this year and am looking forward to connecting with any of you who have a few minutes to stop by the blog during the Advent Season. I hope that you can connect with a friend or two, as we anticipate Jesus this December. Thank you for the gift of your friendship and for loving the Story! Your book was recommended to me by my daughter who read it last year. Our fall bible study ended but we wanted to stay connected thru the season and your book has been a wonderful way to do so. We meet for coffee and share what your book has maybe revealed to us or how it has encouraged us. 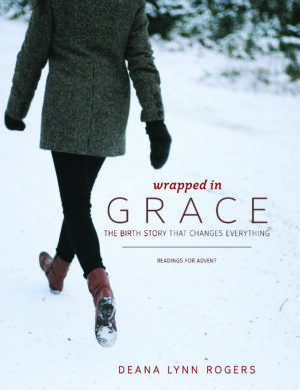 Wrapped in Grace has allowed us to keep focused on the advent of the season. Thank you so much for writing, Georgia! I love that you are meeting with your friends and staying connected during this beautiful but often busy season. It is so much fun to share our journey to the manger together. Praying God’s richest blessings to you and your group as you study the Word together in 2018!